Well, they liked it. A lot. 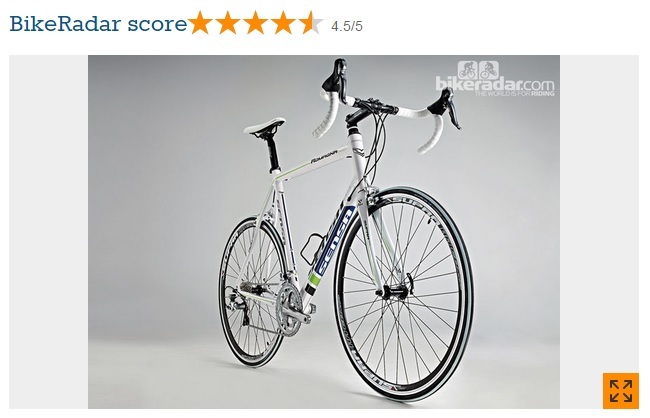 Fast and light road bike from Holland. 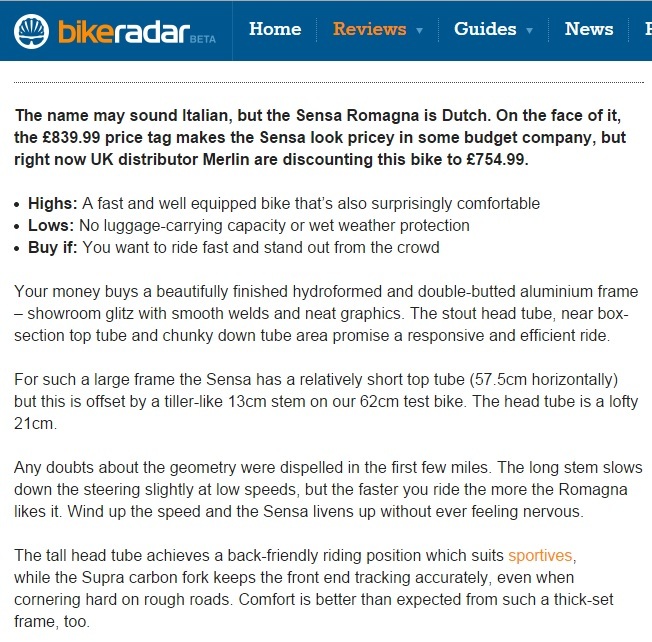 Verdict: 4.5/5 – A great choice for racing or sportives – and outstanding value for money. 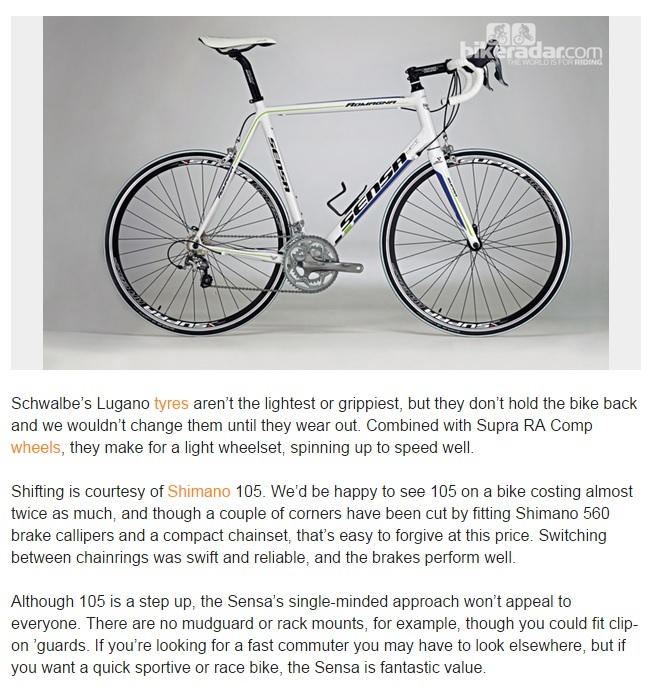 Read more about the Sensa Romagna on our retail site. Tagged cycling plus, romagna. sportive, Sensa. Bookmark the permalink.